Spirits distributor Maxxium UK is aiming to “unlock” a sales opportunity of more than £900 million with its new “comprehensive category vision”. Following its “largest ever category research project”, the UK-based group said it has identified an incremental £942 million sales growth opportunity achievable by 2020 – an increase of 10% to the category which is currently worth £9.3 billion. Maxxium believes an additional £585m in on-trade sales could be achieved, £282 in grocery multiples and £75m in symbols and independent retail. The group surveyed more than 7,000 adults during its £1m consumer and shopper research over the past year, focusing on purchasing behaviour in restaurants, bars and retail outlets, as well as attitudes towards alcohol, specifically spirits. Maxxium said that if certain “barriers to purchase” – such as taste, strength, poor knowledge and issues with trial – were removed, then sales could be “substantially” increased. The group identified six growth drivers as part of its ‘A Winning Mixx’ strategy, including discovery, adventure, refreshment, sharing, perfect experience, and positive spirits. “As a major UK spirits distributor, we have the responsibility to invest in and evolve this exciting category,” said Mark Riley, managing director of Maxxium UK. 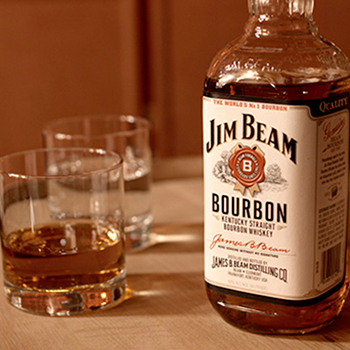 Maxxium UK Ltd is part of the sales and distribution alliance between Beam Suntory and Edrington, distributing brands including The Famous Grouse, Hibiki and Jim Beam. Earlier this month, the group announced a restructure, key executive shuffle, and the introduction of a new London division.